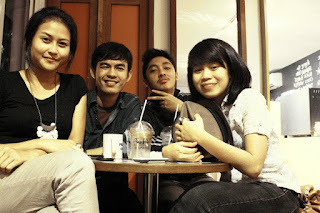 These are my friends in Semarang, all of them are DJ at prambors-fm Semarang. In the beginning I thought they are cocky and unfriendly. but that is wrong, They are just a bunch of creative people who are so hummble, open, and friendly. Thanx for accompanied me while I was in Semarang guys.